Keith “Ketch” de Kanter, business department manager Mark Leichty and sales manager Ryan Seely. There are several things that make Little Prince of Oregon Nursery distinctive. For one thing, there’s the variety. The nursery’s website lists 838 different plant offerings — a number that continues to grow every year. For another, these plants aren’t the usual fare for an Oregon nursery. Rather than trees and shrubs, Little Prince offers a hodgepodge of smaller material — ground covers, succulents, ferns, perennials and grasses. These offerings also include a number of unusual plants, including agave, ground orchids, urn orchids and toad lilies. The strong branding doesn’t end there. The nursery has developed several trademarked brands, including Cliff Hangers® (trailing perennials for walls and containers), Native Ground® (Northwest natives), Water Misers® (drought-tolerant plants and succulents), Blades of Glory® (an ornamental grass line named for Ketch’s favorite movie), and Fit for a King® (rare and unusual plants). All of these are sold to garden centers, landscapers, Fred Meyer stores, and less traditional garden outlets such as New Seasons Market. The nursery sells liners to wholesale nurseries as well. Customers are located all over the United States, with the biggest concentration in the Pacific Northwest. But Little Prince is blessed with more than strong branding and marketing. The grower’s commitment to high quality and the strong reputation of its plant offerings are equally well established. Customers tell Ketch that they can place orders without having to worry about how the plants will look when they arrive. They can count on the quality. “We don’t sell it if it’s not retail ready,” he said. Little Prince of Oregon Nursery has pursued a policy of steady, manageable growth. Production space has expanded by 5–10 percent a year, even during the Great Recession. 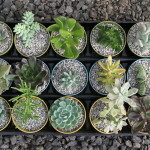 Little Prince of Oregon Nursery is known for its succulents, perennials, grasses, ground covers and other unusual plants. Ketch didn’t set out to be a nurseryman, and his family didn’t garden. The son of an architect and homemaker, he had the nickname of “Little Prince” coined by his father due to the treatment he received from his mother growing up. For college, he majored in marketing at Oregon State University. However, he got a job in landscaping and somehow a light came on. “I realized I liked it and had a knack for it,” he said. Post-graduation, he and Troy Martin cofounded Beaverlake Nursery, a wholesale nursery near Oregon City, Oregon, that grows native plants and ornamental grasses for habitat restoration projects and other customers. Oddly enough, his inexperience as a grower turned out to be an advantage. “I didn’t realize how much work it was,” he said. In 1997, Ketch left Beaverlake and cofounded a new nursery with lifelong friend Brett Francis. Borrowing Ketch’s childhood nickname, they named it Little Prince of Oregon Nursery Inc.
Ketch supplied the plant expertise, while Francis supplied the land for the nursery, located along the banks of the Willamette River near Aurora, Oregon. 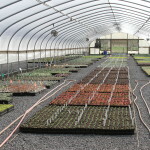 The nursery started with five acres of land and 15,000 square feet of greenhouse space. Initially, Ketch and Brett planned to make it a landscape yard, where contractors could stop and shop for plant material of all sizes to use on projects. However, the competition in that arena was very intense, and the partners decided after a few years to change their approach. “I don’t know if we’d still be in business if we’d (stuck with) that,” Ketch said. In a major shift, they decided to grow smaller material exclusively. The major advantage of doing this was the quicker turnaround times as compared to woody material. The disadvantage was that the smaller material required more specialized technical skill. 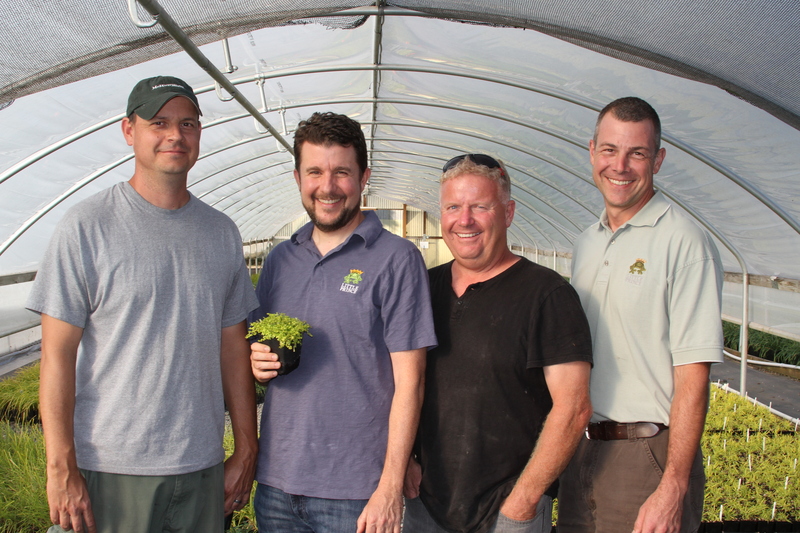 “There’s a huge learning curve on being a propagator,” Ketch said. Before long, however, the nursery gathered momentum. By 2002, the greenhouse space had doubled. In 2003, Little Prince signed on as a licensed grower for the Under a Foot Plant Co., originator of the Stepables® line of walkable ground covers. In 2006, the nursery added 15 acres of land, and in 2008, a 30,000-square-foot, gutter-connect greenhouse with a cooling system was added. Ironically, the Great Recession that began around that time proved to be a positive turning point for the nursery. It forced Little Prince to adopt a greater degree of discipline in its growing operations. In 2007, Brett Francis left the company but remains a valued friend and consultant. Ketch became the sole owner. All along, company growth has been steady. The nursery became successful enough that this past year, Ketch was able to purchase the acreage outright. “We want to grow 5–10 percent a year, and we just add that much more space a year,” Ketch said. His ambitions aren’t limited to growth, however. Ketch wants to keep finding new product lines and developing new markets. “We’re thinking about how our customer is changing and how we’re going to meet the needs of our new customers,” he said. A few years back, the license agreement with Stepables ended and Little Prince introduced its own line of walkable ground covers. Ultimately, he wants to make Little Prince of Oregon Nursery a household name among gardeners. And he’s hoping that a commitment to quality and a vivid imagination will help get it there.